START gives your company the focus and direction it needs to strive and thrive in today’s economy. Clearly defines the purpose of the organization and establishes realistic goals and objectives consistent with that mission, in a defined time frame, and within the organization’s capacity for implementation. Communicates those goals and objectives to the organization’s constituents. Develops a sense of ownership of the plan. Ensures the most effective use is made of the organization’s resources by focusing resources on key priorities. Provides a base from which progress can be measured and establishes a mechanism for informed change when needed. During planning, planners have in mind some overall purpose or result that the plan is to achieve. For example, during strategic planning, it’s critical to reference the vision, mission, or overall purpose of the organization. 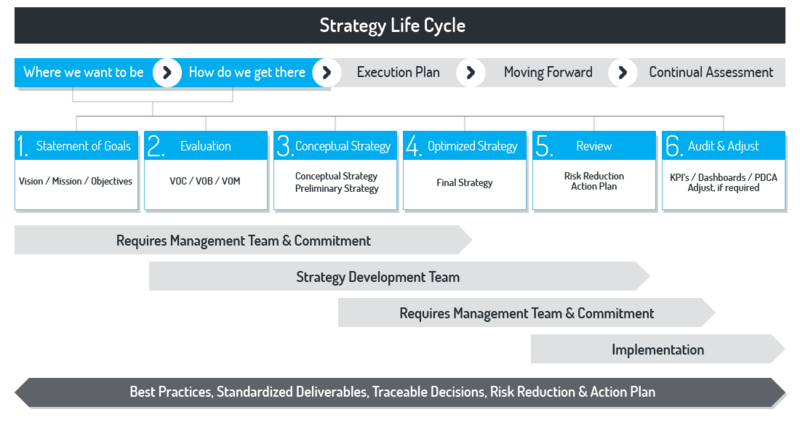 For example, during strategic planning, planners often conduct a “SWOT analysis”. During this analysis, planners also can use a variety of assessments, or methods to “measure” the health of systems. Planners must collect business, market, and customer information. Based on the analysis of the business, market and customers, then aligning it to the overall mission of the system, planners establish a set of goals that build on strengths to take advantage of opportunities, while removing weaknesses and warding off threats. A risk assessment is done to make sure that reaching one strategic goal will not have a negative effect on another goal. Action plans are put in place, tasks and projects assigned. Having easy to see and read dashboards to make sure strategy is effective and valid. If business directions, customer requirements, or market demands change, fast adjustments are key to success. This critical step is often ignored — which can eventually undermine the success of many of your future planning efforts. The purpose of a plan is to address a current problem or pursue a development goal. It seems simplistic to assert that you should acknowledge if the problem was solved or the goal met. However, this step in the planning process is often ignored in lieu of moving on the next problem to solve or goal to pursue. Skipping this step can cultivate apathy and skepticism — even cynicism — in your organization. Don’t skip this step. REMEMBER: A plan is only as good as its acceptance, at all levels.